Want a group that can handle the blues, jazz and funk, with that sweet Memphis soul horn sound on top? Then the Voodoo Blues Band is your choice. The Voodoo Blues Band is a six-piece band, featuring Raul Consuegra on lead guitar and vocals, Eric Marshall on piano, Craig Thornton on bass and Michael Howell on drums, with Rob Endicott and Will “Blind Willie” Dineen combining for a two-piece horn section that emulates the famed Memphis Horn sound that put Stax Records and Muscle Shoals on the map. (You don’t see many bands these days with a real, functioning horn section, but Willie and Rob have been grooving together for years---and it gives the band a unique sound that you don’t hear much of these days but that audiences love.) Raul leads the band with verve and style, and it features soul/R&B classics, funky jazz tunes, and, of course, its signature gut-bucket, raunchy blues with that slide guitar sound and boogie piano on top. In addition to manning the “must see” Sunday jam session at Hammerstones’ (located in the St. Louis’ historic Soulard district), the band has played BBs, Jazz, Blues and Soups, the Broadway Oyster Bar, and Llywelyn’s Pub in the Central West End, among other venues. 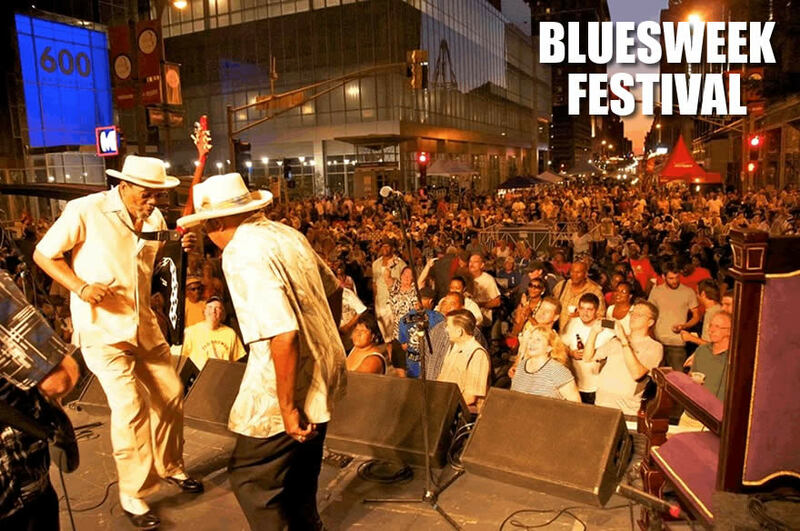 They have also been featured at the Big Muddy Blues Festival in St. Louis. The Voodoo Blues Band has been doing the Hammerstones’ jam for over ten years running, and featured legendary St. Louis bluesman Bennie Smith until his passing in 2006. The band continues the fine tradition that “the Master of the Stratocaster” laid down. In 2007, the band released its self-produced CD, “That Voodoo That You Do”, which has received a 5 out of 5 rating on STLBlues.net’s famed “blues-o-meter!